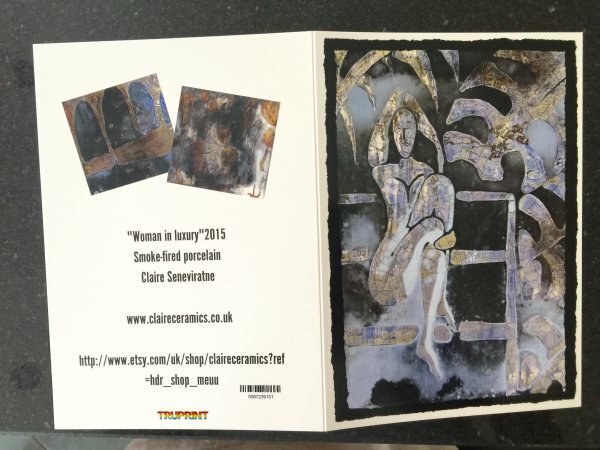 Claire Seneviratne - Ceramic Artist: Art greeting cards set of 3. 'Woman in Luxury'. Art greeting cards set of 3. 'Woman in Luxury'. Set of 3 art greeting cards. The picture is taken from one of my fire paintings 'Woman in luxury'. They are blank inside so you can write your own message.